Comics in Dave's hands comes closest to music in some respects, in that he's got such a perfect sense of comic timing... What Dave has managed to do with an aardvark barbarian character that started off as a Barry Smith Conan parody, what he's managed to say in the context of that strip is staggering. I could never do that... There's not a lot of people who you can learn from in terms of storytelling, but Dave's always one of them. Dave Sim has created a totally believable scenario and peopled it perfectly; The mark of a very fine story-teller. In my opinion, the best in the field today. I think he's a brilliant cartoonist, a spot-on caricaturist, an excellent letterer and a very fine writer-of-comics... easily the best parody of Sandman anyone's ever done, as various members of the Cerebus cast of characters become Snuff, Swoon and the rest of the Clueless. It was wickedly funny, and had the author of Sandman curling his toes when he read it. 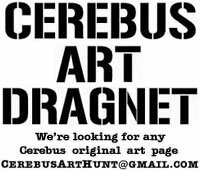 I think Cerebus is one of the greatest accomplishments in comics, not only as a work of art, but as a commitment to a vision. Cerebus is a masterpiece. I don’t have to agree with an author (or be that author's friend) to enjoy his-or-her work. I’ve read all sixteen volumes at least twice through, and some of them I’ve read more than twice. 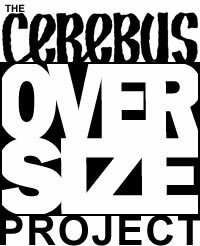 There seems to be a popular view out there that the early volumes are good and the later ones are unreadable, but, to me, Cerebus becomes more and more interesting as it progresses. It's A.R.T., that's what it is! So keep doing your thing in your own unique way. Never mind the off-stage murmurings. 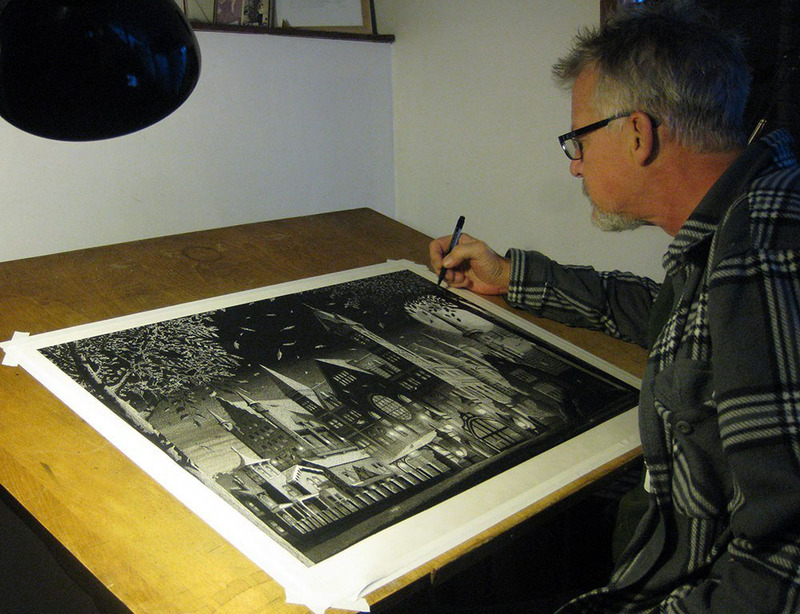 Slave away at your drawing desk, you and Gerhard. Tell it all... love, hate, joy, sorrows, comedy. And don't make so many public appearances... your drawing board misses you. I think of Dave Sim existing in a pantheon of God-like creators with Moore, Miller, etc, and too busy with his own ideas to register that mere mortals like myself even EXIST. He won over the publishing schedules, detractors, critics, people who said it couldn't be done, people who said it shouldn't be done, people who saw misogyny where there was only commentary, who saw indulgence where there was determination, who saw creative control as egocentrism, who saw an individual voice at work and declared it conceit... Year after year, month after (more or less) month, Cerebus made me laugh and think and kept me sane. And it showed me something very important: that you could tell one long story over a period of years, across hundreds of issues, and not only could readers follow it, the subtleties and nuances layered on over the course of those years would add a breathtaking degree of subtext and context to everything that happened. 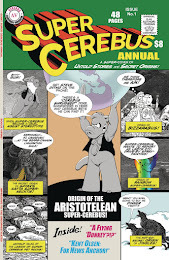 Cerebus is a book that I believe every comics fan should read at least once. I agree that if it’s about money, I would happily subscribe through Kickstarter or paypal or amazon payments or whatever, to just about any comics Sim wants to write and draw for the rest of his life. 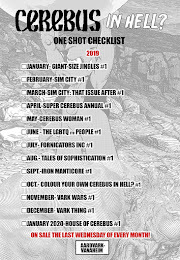 Cerebus is one of the top five most important works in funnybook history, and by setting the number at five, I suspect I'm being quite charitable to at least three entries in any given list. 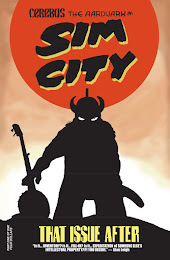 Try to imagine what our comic industry today might be like had Cerebus never existed and you'd have to envision an uncrossable wasteland, lacking hundreds of key oasis's inspired and nurtured by this one monumental work. I still think next to Eisner, Dave has some of the strongest use of graphics - as in sound effects and word balloon placements - on a page. 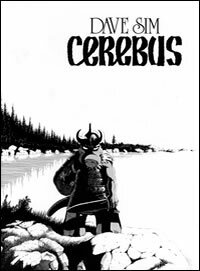 Cerebus was the comic that made me want to do my own comic and made me thinking that self publishing was a Very Good Thing... 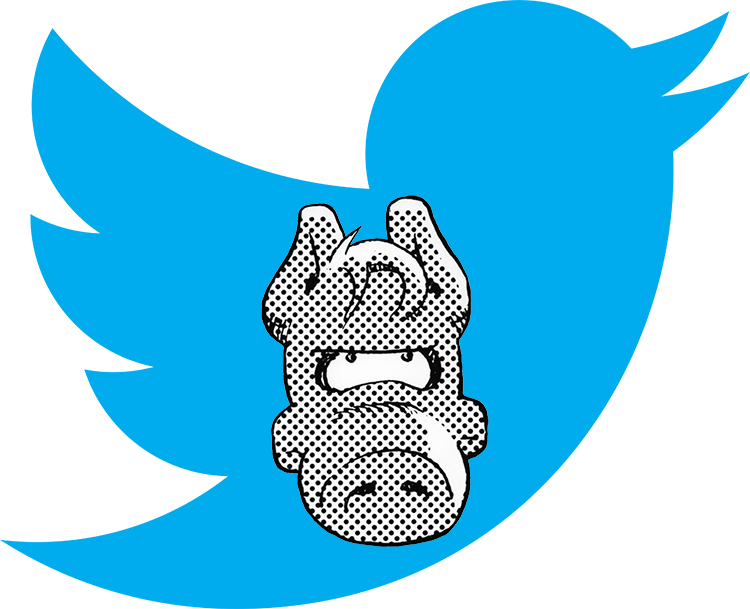 Without Cerebus there probably wouldn't be Bone. Or Strangers in Paradise. It's probably not stretching the point to say there wouldn't even be an Image. ...to Dave, for reaching the impossible 300, an astounding achievement which will never be equalled, and for changing the landscape of comics forever, many congratulations... please take your place alongside Kirby, Eisner, Tesuka, Herriman and Moore, the greatest comic creators that ever walked the Earth. He was definitely the biggest influence on me cartooning-wise... I just think at his peak he's a fantastic storyteller... So yeah, I stole everything from Dave Sim. 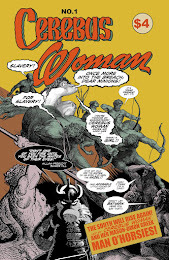 ...The issues Dave is making available digitally, to my mind, constitute a masterwork of comics. They are so good, there are only a handful of North American comics that can compete with them. When I was a kid, for a long time, I could only afford one comic a month, and that comic was Cerebus. The story being reprinted, High Society, is possibly my favorite single comics story ever... if someone were to ask me what comics to study to learn meaningful sequential storytelling, Cerebus would likely be in the top two or three choices I would recommend. 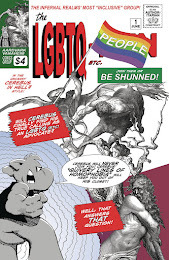 Cerebus was the most important book of the self publishing movement, and Dave Sim is the single most important person in the history of the creator rights movement. Everybody else who contributed is much appreciated, but no one was a more outspoken - or original - advocate. ...his premiere place in comic book history is beyond dispute... as businessman, visual artist and lettering visionary. Cerebus has affected the way I look at comics, the way I approach interviews, the way I write, even the way I think about the world. I can't think of anything in any medium that so consistently achieves the same effect. It's, on the whole, great work by a brilliant cartoonist, and great work like this should be made accessible to as many readers as possible. Even though Cerebus isn't as good a book as Maus or Fun Home or Persepolis, it's much more interesting than any of them... Frankly, Spiegelman and Bechdel and Satrapi all seem to me to be minor talents who put their limited abilities to the best possible use because they each had one great story to tell. Their draftsmanship gets the job done, but it looks undistinguished and dull compared to Sim's fluid command of expression and gesture, his pyrotechnical talent and inexhaustible visual invention. ...after rereading the whole enormous, hugely personal work, I can't stop thinking about it. It's a monument that can't be ignored, even if you don't believe in what it stands for. In time, Cerebus will be recognized as one of the grandest achievements of comics: a unity of form and void, motion and emotion, depicting the galaxy of ways in which the human race can make itself unhappy. My excitement at Glamourpuss when I saw the first issue... was the gobsmacking fact that you were (a) doing an essay on inking in comics form, and (b) you were teaching. Of course, you’d been actually doing that for a long time - I was among your most bone-headed students, remember? - but you didn’t see it as such. Clearly, The Cerebus Guide to Self-Publishing (in all its incarnations and editions) was and is that, too. And a mighty fine, insightful teacher you’ve been in Glamourpuss, too. Parts of it really spoke to me. I mean that not in the old log-rolling manner of buddy-buddy authors promoting each other's books, but that your meditations on exploring craft REALLY SPOKE TO ME. Glamourpuss is the first comic to unpack process from the inside out. It stands apart from Scott McCloud who is on the outside looking in (if that makes sense). Dave has taken his fascination with the modern style of fashion art and photography and utilises it in issue #1 to examine the Alex Raymond/Rip Kirby school of comic art, with a few side trips along the way involving too-tight shoes, sweat glands, and Mahatma Gandhi. Hopefully, he's found a way to seduce a new generation of post-super-hero graphic novel freaks into reading and perhaps synthesising his knowledge and opinions while they think they're just looking at a bunch of fashion models in exquisite clothes. And all because of his self-stated intention to make his new major post-Cerebus project "cute teenaged girls in [his] best Al Williamson photo-realism style. I thought the Alex Raymond / Stan Drake serial in Glamourpuss was the most compelling thing going in periodical comics the last two years. I was bummed to learn it was ending. I would love to publish the finished book. Dave Sim’s Glamourpuss is one of my favourite regular comics. A grand departure from Cerebus, it’s a strange brew of the history of inking and photorealism styles in comics through the twentieth century, with Dave Sim first reproducing the pages in question, then taking those relearned skills to reproduce fashion magazine images, upon which he places a self-knowing satire on the magazines and those who write and read them. It’s an immersive experience, educational and amusing in equal measure. And no one’s reading it. Fix that, people, fix that. An appreciation of the photo-realism thread in comics wrapped in a parody of fashion magazines, Glamourpuss is a book to be consumed on several levels. As a scholarly work, it provides a unique depth and insight into the lives and works of Alex Raymond, Al Williamson, Stan Drake, and other artists whose contributions to the medium are immeasurable... Each issue is a visual experience from cover to cover. Glamourpuss is a statement. Maybe it's specifically a statement about women, or fashion or women in fashion, and how ridiculous that culture is, but it's something. And it's funny. Sometimes it's shocking, but like I said, that's what sells. Judenhass is an astonishing piece of work. Painful and real and unflinching. I don't remember the last comic I read that made me cry, but this did. To apply the term 'beautiful' to this book may be a misnomer considering the subject matter, but its impact cannot be denied. Simply put, these are hard images to look at, and dragging your eyes across the images for a split-second on the way to the words is nothing compared to the amount of time and energy Sim spent in the meticulous creation of those images. I don’t know how Sim could stand to create this book, although I’m glad he did. 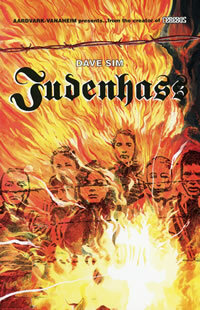 Dave Sim... has performed an important service with the publication of Judenhass. Events in the world today show that the currents of Jew Hatred, far from being vanquished, bubble very near to the surface of world culture. As the generation which survived the Second World War ages and slowly passes on, the world will need works like Sim's as a reminder of the dangers of complacency in the face of racism. 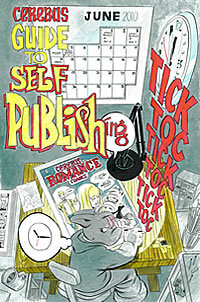 ...the Bible for self-publishers, collecting all the pertinent essays and speech transcriptions from Dave's long-running self-published title Cerebus... this is highly recommended reading - absolutely essential for any prospective creator, self-publisher or not... densely packed pages of invaluable advice and guidance covering virtually every aspect of starting your own comic. Without a doubt I would not want to enter this industry as a creator without having read this first, regardless of whether I intended to self-publish or sell my creativity to/through other publishers... Dave addresses almost every aspect of successful comicbook publication and a great many aspects of comicbook creation including the nuts and bolts of what it takes to stay on schedule and impress a potential readership into buying your wares. But as much as it's an encouragement to create professionally and hold onto your creative rights, it's in equal measure a wake-up call for those deluding themselves into imagining they have enough drive and self-discipline to do any of the above. ...one of the most practical of recently published how-to handbooks. Mostly its a joy to read because its written with a force, a love of comics, and decades of experience behind it. Each of his observations about inking and composition ring with a truth that makes me eager to run to the drawing board and put them to the test... a rare chance to listen to the voice of a true independent voice committed to his own ethics and aesthetics and its own vision after over 30 years. 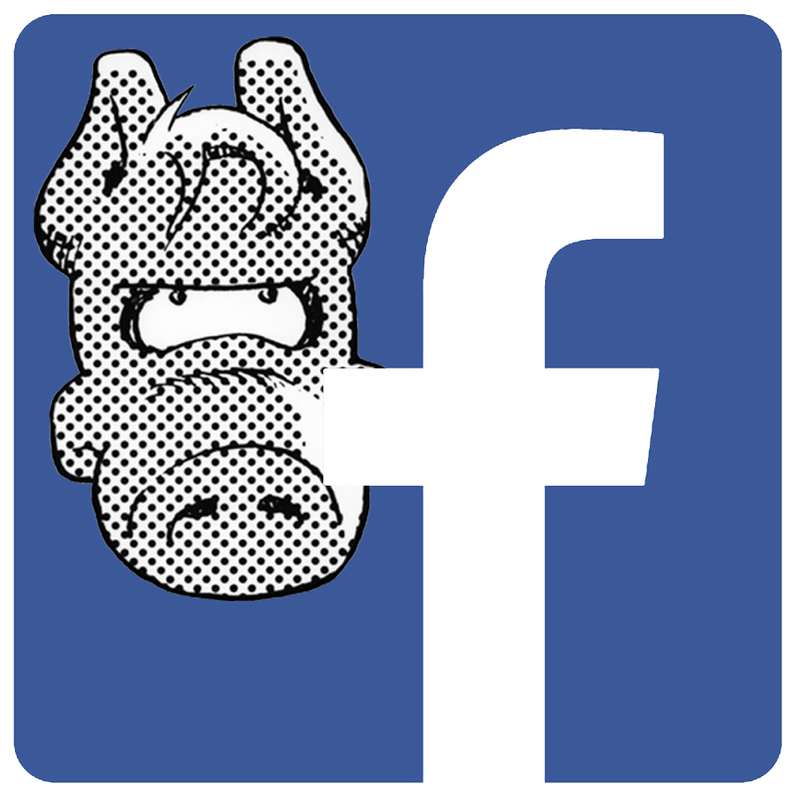 ...my advice to any aspiring comic/graphic-novel artist considering self-publishing would be to read Dave Sim's The Cerebus Guide To Self-Publishing and think hard about how committed you are. Anyone familiar with Dave Sim knows that this is a guy who knows what he’s talking about when it comes to doing your own series and self-publishing it. While the book was VERY informative, it made me feel guilty too. Why? Dave Sim stresses how much discipline and persistence it takes to go anywhere in this field. He emphasizes how much you need to make yourself work to get your comics out there on time and into stores. 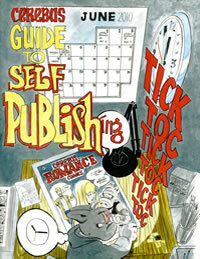 Dave lays out the hard, true realities of self-publishing far better than I ever could. Required reading. Even if you have no interest in self-publishing, this is good reading on art materials and ESSENTIAL reading on 'what it takes' to become a professional cartoonist. [This] was my holy grail as a kid. I squeezed each and every ounce of my four dollars out of it until I could recite it backwards. And today I can still recite most from memory.